Google promised $20 million to the first private company that could land on the moon, roll around a few hundred meters, and then beam the achievement back to Earth. But it looks like none of the competing companies have landed on that sweet lunar surface—and Google isn’t going to give them more time. “Google does not have plans at this time to extend the deadline again; however, we are so thrilled with the progress made by these teams over the last ten years,” a Google spokesperson told CNBC on Monday. The current deadline is set for March 31st of this year—just 68 days from today. 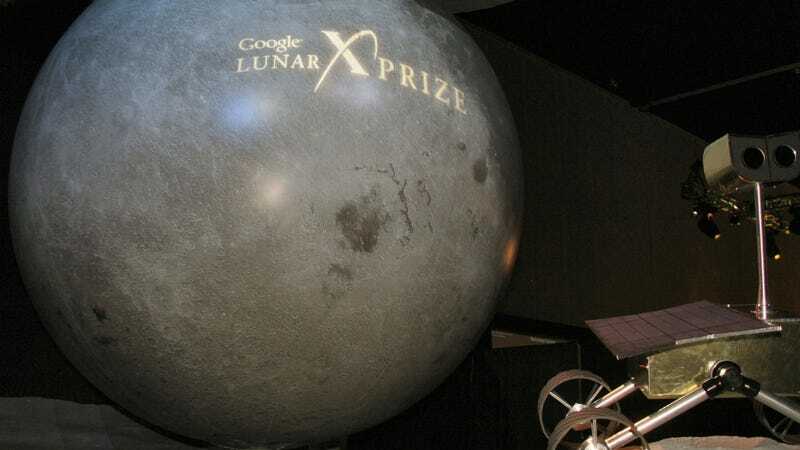 Google’s Lunar Xprize challenge, announced more than a decade ago, had narrowed down to four finalists. But according to multiple unidentified sources who spoke to CNBC, of the final four, one didn’t have enough funding and the remaining three weren’t yet ready to launch. An Israeli nonprofit, SpaceIL had a launch contract since the end of 2015 and planned to launch a SpaceX Falcon 9 rocket in the second half of last year. But the organization was $7.5 million short, according to CNBC, needing the funds to continue paying for the launch contract, spacecraft, team members, and partners. SpaceIL CEO Eran Privman told CNBC his team just needs a bit more time. “Give us another few months—until the end of 2018,” he said. The other finalist teams are TeamIndus, Synergy Moon, and Moon Express, none of which are reportedly in a position to launch before March 31st. Despite no team winning Google’s prize, some of the participants still see an upside to the competition. “The Google Lunar Xprize has done a great job inspiring teams worldwide to shoot for a dream thought only within the reach of governments, while bringing a focus back to the Moon as an important destination for expansion as a multi-world species,” Bob Richards, founder and CEO of Moon Express, one of the final four companies, told Gizmodo in January of last year. Moon Express still has plans to launch its spacecraft next year but is reportedly not prioritizing Lunar Xprize’s competition. It’s unclear why Google has decided not to once again extend the deadline for its literal moonshot—the company has extended it on two other occasions in the past. It was originally set for 2012, which was then pushed to 2014, which was pushed again to this year. We have reached out to Google for comment on why it’s no longer extending the Lunar Xprize deadline.